We’d love your help. Let us know what’s wrong with this preview of Awaken by K.S. Marsden. Witches, demons, and danger come together to prove that this... this is only the beginning. To ask other readers questions about Awaken, please sign up. 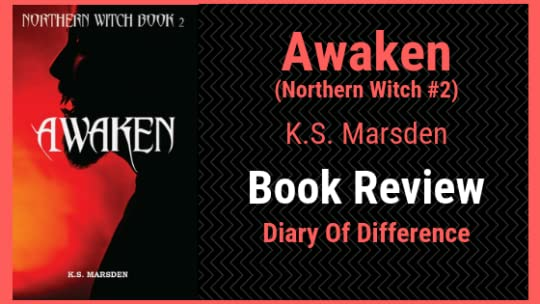 Awaken is book 2 from the Northern Witch Series. Read my review for Winter Trials, book one in the series. I have enjoyed reading the first book, and I was so eager to get to the second one. This is a story about a young boy Mark and his grandma, who is a witch. This is also a story about Damien, a new guy in town, in which Mark falls in love with. The second book starts where the first book left off. Mark and Damien have feelings for each other, but Damien is a danger to himself and others, and grandma will try to fix this with her power. The book is a short and fast read. It is fast-paced, and I kept spinning the pages intensely. It brings you the feelings of home, and winter times, and family moments, and high-school memories. It has all the good vibes put together neatly. The high-school romance was an addition to the book, and it was a pleasure to read. I enjoyed it a lot, even though we didn’t see as much romance in this book as we do in book one. And then, there is the word ‘’Dunno.’’ A word that I don’t really mind, unless it’s used too often. And it bothered me, I will admit it. But then, there was Nanna – a character full of light and power that pierces through. A character full of wittiness, giving life to each scene unlike any character can. A woman I so greatly admire, for her love and dedication to the family, and unconditional love and teaching towards her grandchild. I read about magic, and high-school, more about high-school than magic. I wish there were more romance scenes, and was terrified when the book finished the way it did. I was afraid, and happy, and excited and sad, and not to forget, annoyed, but this book gave me all the right feels at times, and all the wrong ones too. It has never been harder to judge a book in-between this space of annoyance and love, and I am struggling. But I love Nanna too much. I would recommend you to read this (or the first book in the series, if you haven’t yet). If you enjoy LGBT high-school romance and witchcraft adventures, this one will be a pleasurable read for you. Thank you to the author, K.S. Marsden, for sending me a copy of this book in exchange for my honest review. The second book of the series picks up where book one finished. This book has a darker feel to it than the first. Mark has a hard time coping as his boyfriend is possessed by a demon that causes trouble as it gets a stronger hold on Damien. Misunderstanding causes a rift between Mark and his friends, Harry and Sarah. On top of which, the other students and residents are scared of him, as they think he's using dark magic. All in all an exciting read that doesn't let up until the last page - which l The second book of the series picks up where book one finished. This book has a darker feel to it than the first. This book was a long time coming after the first Northern Witches book, Winter Trials, but it was worth the wait. Mark, his friends, and his boyfriend face new trials and trouble from the demon who possessed Damian at the end of the first book. As the demon becomes more powerful, he is more able to influence Damian and cause trouble. Will Marc, his Nana, and the other witches be able to vanquish the demon and free Damian? We'll have to wait and see, as the story doesn't end with this book. I lov This book was a long time coming after the first Northern Witches book, Winter Trials, but it was worth the wait. Mark, his friends, and his boyfriend face new trials and trouble from the demon who possessed Damian at the end of the first book. As the demon becomes more powerful, he is more able to influence Damian and cause trouble. Will Marc, his Nana, and the other witches be able to vanquish the demon and free Damian? We'll have to wait and see, as the story doesn't end with this book. I love the premise, and the coming of age themes, and I love the author's characters. I just hope it isn't as long a wait to the next book as it was for this one. Oh well, what can I say I still think Nanna is Awesome. WOW what a great read I’ve been waiting for this second book in the series for some time (in the meantime I re-read the authors Witch Hunter Series all brilliant). This is the second book in the series, and I must stress it is a proper series in every sense of the word so if you have not read book 1 you really and I mean REALLY need to read it, to get the back story. These are not standalone books. 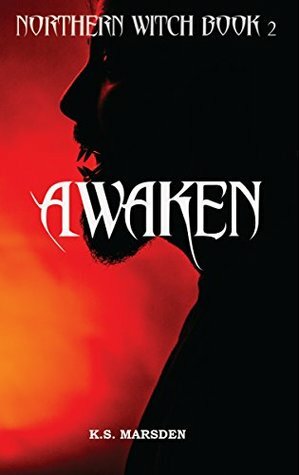 Book 2 Awaken starts exactly where the last book ended and yes that was a bit of a cliff hanger and made us all pray it would not be long before the next in the series and finally here it is and it certainly does not disappoint. Mark is now a full witch in-training and Nanna is teaching him little bits of magic here and there. Mainly spells of protection and healing (look out for the wonderful lesson he has to invoke his spirit guide). The new guy Damian is settling into his life in Yorkshire and there is a possibility he can become part of the football team. Even though the team are rubbish they are still worshipped as the elite, so Damian with his good looks should fit in nicely. After the big event of the Winter Solstice Nanna has tasked Mark with keeping an eye on Damian and this is certainly no hardship for him. In fact the friendship between the boys begins to grow much to the distaste of Harry and Sarah (Marks long standing friends). An unexpected occurrence, at the party of the year, thrown by the second openly gay student at Tealford High – Dean, has all the students turning against Mark. What has he done to upset so many people it can only get worse before it gets better? Great read, Mark is learning magic from his grandma. Marks boyfriend Damian is possessed by a demon. Mark and the coven are trying to help remove the demon that is taking a ride in Damian’s body. Harry, Marks best friend have had a falling out, as Harry states Mark has been selfish and everything is about him. I must say this was a great read however it ends with a cliffhanger and I can’t wait to read the next addition. I received a free copy of this book via Booksprout and am voluntarily leaving Great read, Mark is learning magic from his grandma. Marks boyfriend Damian is possessed by a demon. Mark and the coven are trying to help remove the demon that is taking a ride in Damian’s body. Harry, Marks best friend have had a falling out, as Harry states Mark has been selfish and everything is about him. I must say this was a great read however it ends with a cliffhanger and I can’t wait to read the next addition. I am in love with spells from here, they sound so powerfull even if there is just few of them. Mark is so cute and caring, I love him. I cant wait for next book. He has to save world from that demon and save his boyfriend, too. And what about those released demon and ghost, wow I am scared now. I love this book. I can´t wait for next book. He has to save world from that demon and save his boyfriend, too. This is a wonderful book to read about witches, demons and danger oh my. I am so glad I got a chance to read this story and review it. I guarantee you will not be disappointed if you buy this story. I loved reading this book and I highly recommend this to everyone who loves stories with witches and demons. And it has only just begun, the story of Damien and Mark. A true love match it seems, but demon possesed Damien is trying to stay away from those he cares about to keep them save - works about as well as accepting the demon that took his parents in order to protect the coven. prejudice of a different kind against Mark as a witch rears its head, and so does protective Nanna. Can Mark stay ahead of the trouble, and the mistakes they all make trying to fight it? Fighting demons and evil does not sound And it has only just begun, the story of Damien and Mark. Fighting demons and evil does not sound like a fun puberty. i really enjoy this series and the characters. well written. great characters. and lots of paranormal activity. i would def recommend this book. Great fantasy book with witches. Mark has everything but there’s definitely trouble brewing. Fast paced, intriguing. Allow a LONG full day for this eldritch tale of young gay love, although I suggest reading the earlier book, Winter Trials, first. I read an ARC and this voluntary review is my own opinion.